He is rewiring this car, installing an electric fuel pump and converting the original '39 style headlights to halogen with turn signals/parking lights. "The car itself is ratty, but against the sage advice of buying a nicer car to start with, I bought this one out of sentiment. I rode in this car once when I was a teenager back in the 80's, and at the time my brother had a '39 Ford standard tudor. The Mercury made an impression on me, but I lost track of it and when it turned up on my local Craigslist last winter, I knew it was the same car and I snapped it up. It is rusty! 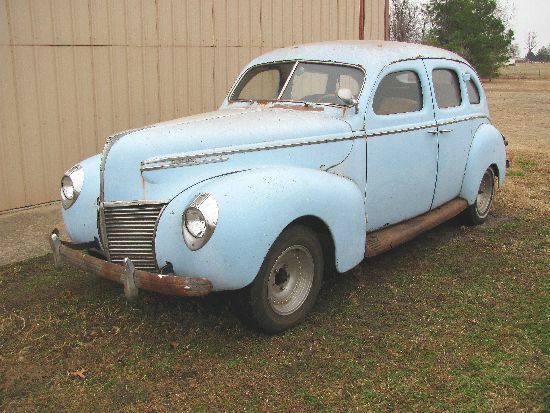 But, it runs good and has good brakes, so my plans are to make it reliable, fix some (not all) of the rust, put some Ford 16x6 wheels on it, take it to Maaco for a cheapie repaint in a 2010 Mercury (their last year of production--'39 was the first) light metallic green, and drive the puddin' out of it. 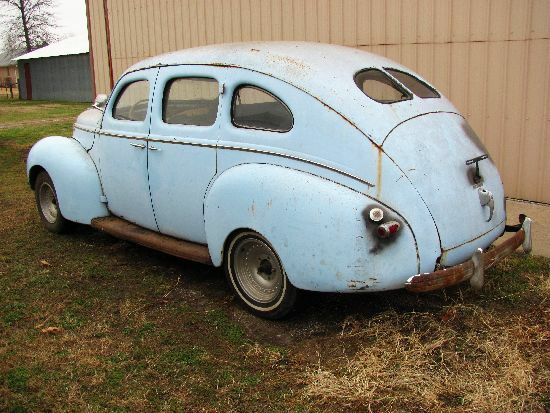 One more bit of trivia, the '39 and '40 Mercurys don't share any outside sheet metal with Ford. That changed in '41, so, to me the early Mercurys are really special cars. Thanks again for your help, it is a blessing."